These are packs of Teslin® paper containing 50 sheets with 1-up punch outs for individual photo ID cards. 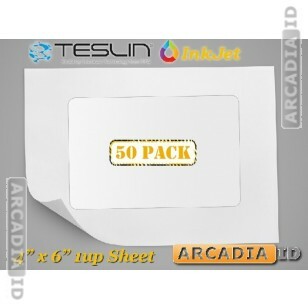 These are suitable for use in Inkjet printers and result in vibrant, crisp looking ID cards. For the full range of ID card products and more take a look around our site. For the top quality and prices count on ArcadiaID.